Does this FTSE 100 bear market have teeth? So far the recent FTSE 100 bear market has been more of a teddy bear than a grizzly. To some extent that’s because the dividend has held the index up, but what would happen if that dividend started to fall away? Although the FTSE 100, like any other stock market index, can be volatile and move around randomly within a wide range of values, its market price is fairly closely related to its dividend. With the market standing close to 6,000 today it has a dividend yield of just over 4%. With the dividend at its current level we’re unlikely to see the market drop back to the 3,500 range seen in the previous two bear markets. If it did, the yield on the FTSE 100 would increase to almost 7.3%, which is a ridiculously high dividend yield for a large-cap index. At a stretch, I would guess that the potential FTSE 100 low in a serious bear market would be something like 4,000. That would give the index a high (but not ridiculously high) yield of 6.4%, which is similar to the market’s yield at the 2009 bear market low. So does that mean we can all sleep like babies, sound in the knowledge that the dividend will save us from a market collapse? The last point is the important one. Currently the FTSE 100’s 100 companies are producing, in aggregate, earnings equivalent to 221 index points while the aggregate dividend stands at 255 index points. In other words, the earnings of those 100 companies are not enough to pay for the dividends that shareholders are receiving. This is not necessarily the end of the world. Companies have cash reserves that they can dip into, or they can take on debt in order to fund the dividend. The FTSE 100’s dividend will start to decline, which means that the support the dividend gives to the market’s price will also decline. How much might it decline by? This is a tricky question. As you can see in the chart above, during the global financial crisis the FTSE 100’s dividend only declined by a very small amount (about 12% to be precise). However, even a 12% decline in today’s dividend could result in a bear market low 12% below the 4,000 I mentioned above. That would take the index back to the 3,500 level seen in 2003 and 2009, which is not an enticing prospect. To be honest I don’t think it’s particularly likely that the market will fall below 5,000, let alone 3,500, but the possibility is there. Now that I’ve scared the living daylights out of you (which really wasn’t my intention) what are investors to do? Do nothing – The worst thing that anybody can do is to sell at the bottom of a bear market. I’ve done it (in 2003) and I’ve seen others do it, and it almost never works out well. The market recovers, you’re left sitting in cash, and all you end up doing is locking in losses and missing out on the recovery. 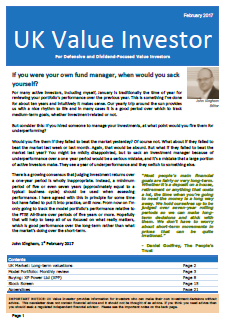 Buy more – Bear markets and recessions are almost invariably the best time to invest. Valuations are low, yields are high and bargains can be found all over the place (although you do have to differentiate between what is good value for money and what is cheap because it is rubbish). 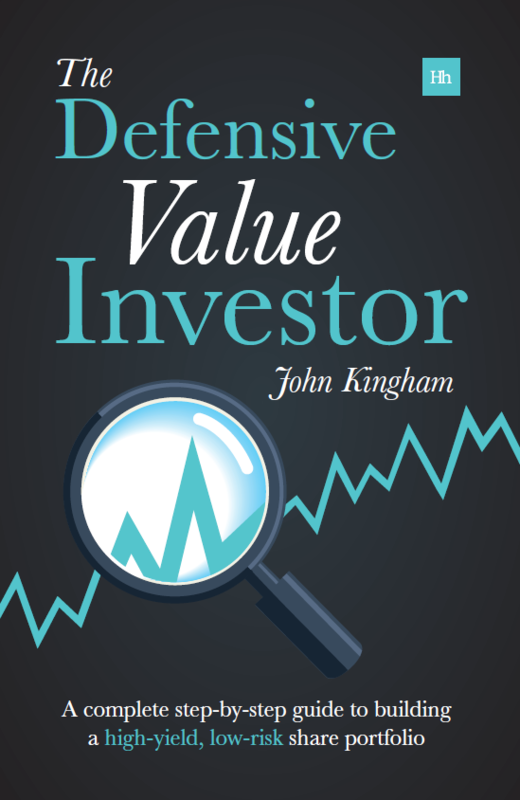 Stick to above average companies at below average prices – Buy relatively defensive companies that are less likely to cut their dividends than average, and buy them at attractive valuations with high dividend yields. That way even if the dividend is cut there’s still a good chance the yield will be decent, rather than anaemic. Diversify wisely – Whether you’re investing passively or actively, diversification is the ultimate form of defence. If you’re passive then that means holding international equity indices and other asset classes such as bonds or real estate. If you’re an active investor then a diversified portfolio means holding many stocks from many sectors with revenues generated from across the world. And of course it’s always important to remember that over the long run (i.e. periods of ten years or more) it’s incredibly likely that the FTSE 100’s dividend and its market price are going to go up faster than inflation. But to get to the long run you have to stay in the game and not bail out at the first sign of a bear market, even if it does turn out to have teeth. I guess the level at which the overall dividends are uncovered is very heavily distorted (-vely) because of the banks, oil and commodity companies, and certain supermarkets, all who have heavily uncovered and in some cases completely uncovered dividends. Take these sectors away and I suspect the picture looks very different. Hi LR, I think you’re spot on in terms of where the earnings declines are coming from. However, many of those companies are also the big dividend payers and so if/when they cut their dividends the FTSE 100’s dividend may take a noticeable hit too. Although I don’t think the grizzly bear scenario is particularly likely, especially given the market’s recent and very large rebound, I do think it’s worth being psychologically prepared for the worst (or if not the worst, at least a bad short-term outcome). However, with FTSE 100 only 13% down from its peak after many years of strong growth, and especially with its P/E ratio = 27.87, this does not look to me like a cheap market. Perhaps “Wait with your cash ready until prices get really cheap” could be added to the four strategies? Hi Federico, when I said “buy more” I wasn’t specifically talking about the situation today, as this bear market was tiny, and may have already ended. I meant in a more general sense, that investors in the accumulation phase should welcome bear markets as an opportunity to buy companies on lower valuations and with higher yields. However, I do agree that this bear market, even at below 6000 was not exactly a screaming bargain. I do think it was cheap, but not super-cheap. As for waiting for markets to get cheaper, I don’t really like that approach as it’s market timing, which is incredibly difficult to do. And what if the market never dips below 6000 again? An investor waiting on the sidelines would be left in the dust. Personally I think it’s better to always stay in the market but look to save harder, if possible, during bear markets and certainly not sell, unless forced to do so by circumstance. Thanks for your reply. It is the P/E of 28 that made me jump out of my seat. I guess it comes from brisk decreases in earnings, but certainly it is quite high by historical standards? Hi Federico, yes 28 is very high. However earnings are probably close to a cyclical low at the moment and so I wouldn’t expect the market to follow current earnings down. After all, the value of the market is theoretically supposed to equal the total value of future dividends, discounted at an appropriate rate (of perhaps 7% a year or thereabouts).